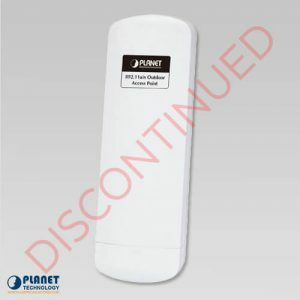 PLANET’s WDAP-8350 comes with a high transmission power of 500mW which can bridge two remote nodes in the 5GHz frequency band and provides clients with 2.4GHz wireless access over longer distance range. Its fully-protected hardware design makes it capable to ward off direct lightning strikes and unpredictable harsh weathers. Furthermore, the WDAP-8350 adopts the high-class Qualcomm Atheros SoC (System-on-a-Chip) and Dual-OS Backup mechanism to provide higher stability to meet stringent outdoor requirements. 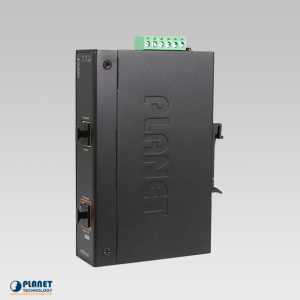 PLANET’s WDAP-8350 can perform normally under harsh weather conditions due to its IP66-rated aluminum housing, Surge Arrester, Heater design and wide-ranging operating temperature from -40 to 70°C. 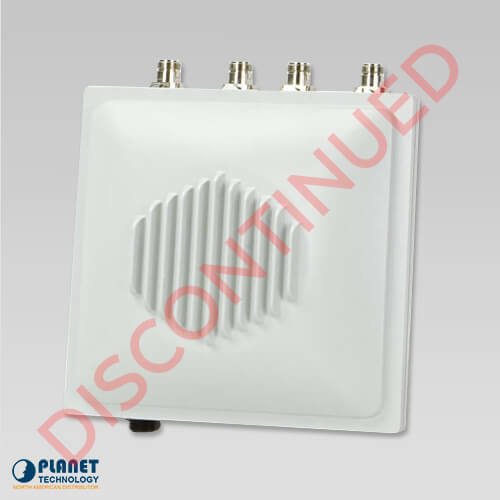 The WDAP-8350 can adapt to various applications with its dual-RF design and by connecting higher gain antennas to its N-Type connectors. Applications include deploying a surveillance system or providing wireless internet service to rural residents simultaneously with urban cities. 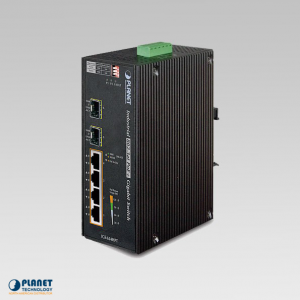 With the WDAP-8350, an outdoor wireless infrastructure can be speedily deployed. The WDAP-8350 enables the auto failover mechanism to activate by using dual images (Dual-OS), if the active OS fails, it can immediately switch to the standby OS. 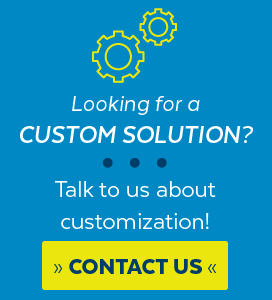 That can eliminate the difficulty of real-time support and make failover as simple as possible. Furthermore, it enhances handover of clients between APs by improving the handshaking process to promote better performance. This will reducing the handoff times between APs and associated clients, which means it can quickly handover to the nearby AP without any disconnection. 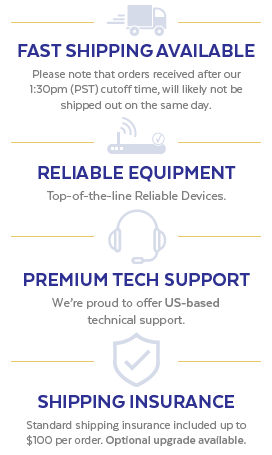 Benefiting from the auto-backup and fast roaming, the WDAP-8350 is able to achieve a non-disruptive path of failover and seamless roaming. 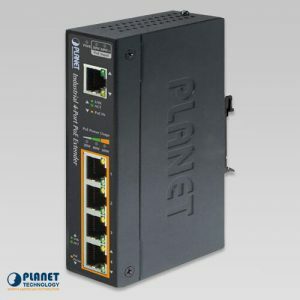 PLANET’s WDAP-8350 supports multiple SSIDs (16 sets of SSIDs for each band) to allow each virtual wireless network to have a different set of security. 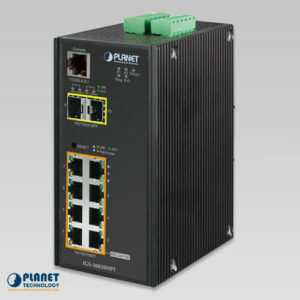 The unit is also capable of mapping each VAP to a specific virtual network through the use of VLAN tagging which enables isolation of guest and corporate networks. 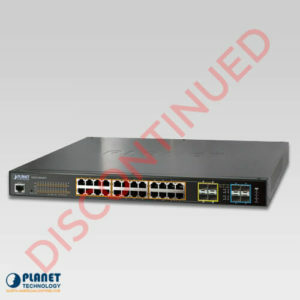 In addition, its dynamic rate adaptation mechanism for multicast guarantees the wireless bandwidth and service quality or the fixed rate of video streaming, which prevents from capacity wasting of multicast packets, thus utilizing the available bandwidth with more efficiency. 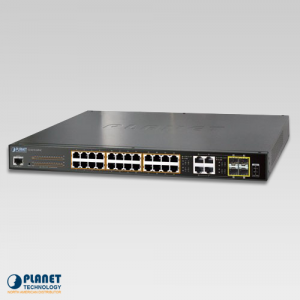 Featuring an IPv4/IPv6 dual-stack network, the WDAP-8350 can work with both networks, which provides easy migration from the IPv4 to IPv6 network. With the dynamic power saving mode implementation, it is capable to detect the traffic loading, which consumes low standby power automatically, thus reducing power consumption by less than 30%. 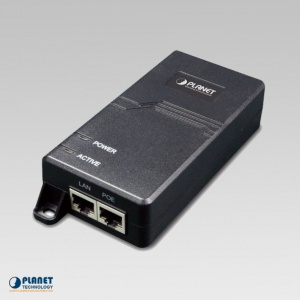 Compliant with IEEE 802.3at PoE+ (Power over Ethernet) standard, the WDAP-8350 can be powered by a single UTP cable besides providing data transmission. It thus reduces the needs of extra cables and dedicated electrical outlets which are difficult to reach in outdoor environments. 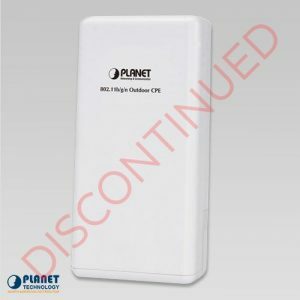 It enables the wireless LAN deployment to become more flexible and worry-free from the power outlet locations. 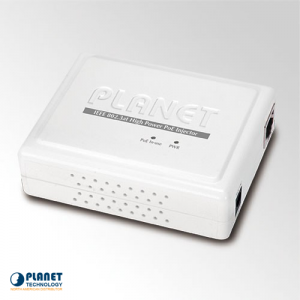 Moreover, with the Planet Smart Discovery Utility, the WDAP-8350 is convenient to be configured remotely and with the Wireless Location Management, it is easy to locate online clients’ information. restricted to abide by regional regulatory compliance. 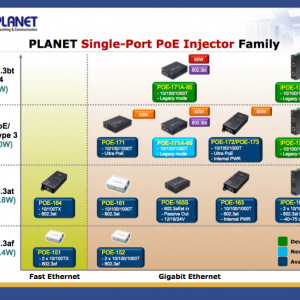 The IPOE-162 is a Single-Port, Mid-Span Industrial IEEE 802.3at high power PoE injector that offers up to 30 Watts of power output through Ethernet cables. This unit was crafted to meet the requirements of devices that need high power to operate efficiently. Power Consumption: 30 Watts max.